This season, things like Influenza, colds, stomach flu, and much more are a part of daily conversation. The spread of many of these illnesses, especially Influenza, has been rapid and few have been untouched by some form of it in the past few months. However, you do not have to be a participant in these illnesses – there are still simple things you can do to not only protect yourself and your family, but also to help sickness spread further. Many locations offer flu shots and many pharmacies offer flu shots at affordable rates. It’s not too late! Wash your hands before and after you eat. Wash your hands after you use the restroom (please). 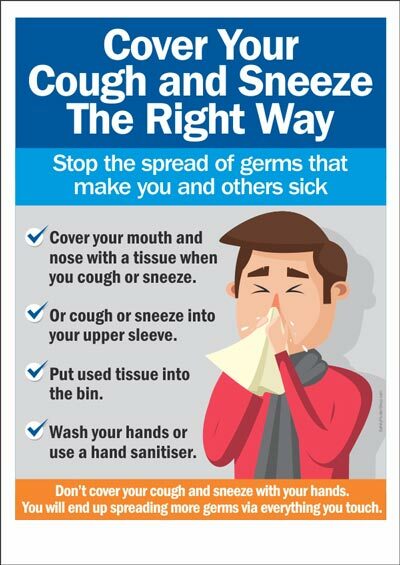 Wash your hands after you blow your nose or cough on them. Wash your hands before preparing food. Get the idea? Use alcohol based hand sanitizer if you can’t get to a sink (or carry it with you for quick access). Many kill germs on contact. Avoid getting close to people who are currently sick. People who cough and sneeze send germs into the air AND on their hands. (Remember your kindergarten teacher reciting “Cover coughs, cover sneezes, otherwise you spread diseases”? If not, it’s simple, easy to remember, and the action is very helpful in preventing the spread of your germs…especially when followed by handwashing (see earlier point). If YOU feel sick, stay home (you don’t have to be the hero of your family or workplace – you need to get healthy). You may be contagious 1 day before any symptoms through 7 days after symptoms. 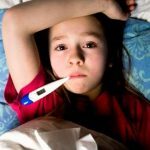 If your child is sick, DO NOT send them to school (especially if he or she is running a fever). Schools and care centers function best when the staff and students are healthy – one child attending while sick can transfer to staff members in their care and quickly to other students (particularly the youngest ones). See a doctor if you have symptoms. The mortality rate this year is very high. Many flu symptoms can mimic other illnesses. Don’t assume it is just a stomach bug or just a cold – pay attention to what you may be experiencing and do seek medical attention. If a fever has finally gone away and then comes back, you should see a doctor. Do take your medications, especially those prescribed to you. Many medical conditions can make you susceptible to the flu. It is very important to take your medication. If you have been prescribed anti-viral drugs for your symptoms, take them until they are gone. Did I mention that you should wash your hands…A LOT? Following some of these healthy habits and simple steps, we can all get back on track, stop the spread of illness, and find our way back to good health!